There are plenty of reasons to travel out of state to buy certain things: cars, legal fireworks ... clothes without sales tax. 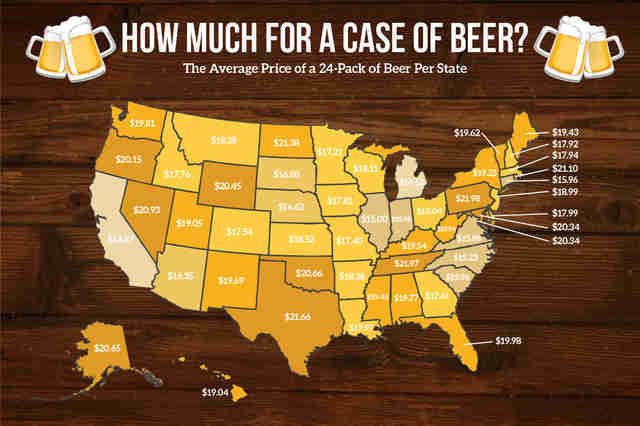 You might also want to consider crossing state lines on your next beer run based on this new map, which plots the average price of a 24-pack in every state in the union. Helloooooooo, Michigan. Compiled by the site Simple Thrifty Living, the map is based on data collected primarily from two major national retailers: Walmart and Total Wine. To get the average price for each state, they surveyed up to 10 different stores within its borders, each one in a different zip code, and were careful to include a mix of urban and rural locations. Specifically, they looked at two of the most common domestic beers: Bud Light and Miller Lite -- 24-packs of 12oz cans. So where can you get the most bang for your buck? 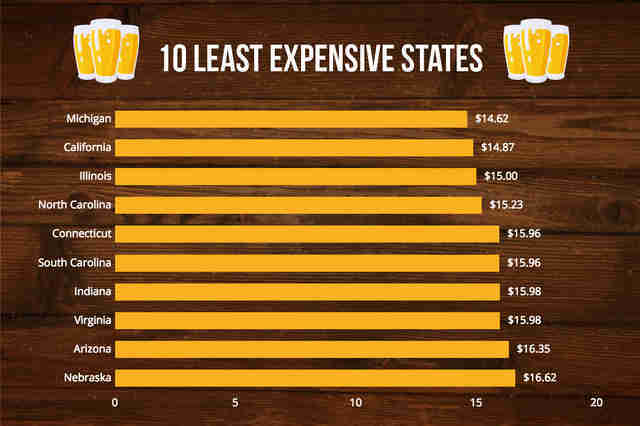 You'll want to find your way to Michigan, where the average is under $15 for a case of beer, which translates to roughly 60 cents a can. Your wallet will also thank you in California, Illinois, North Carolina, and Connecticut, where they're all under $16. 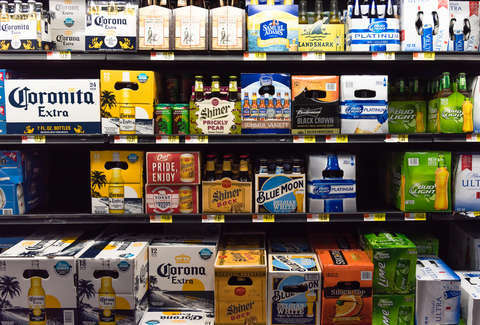 Beer drinkers in Pennsylvania are paying out the nose, comparatively, where 24-packs cost nearly $22 a pop on average throughout the commonwealth. 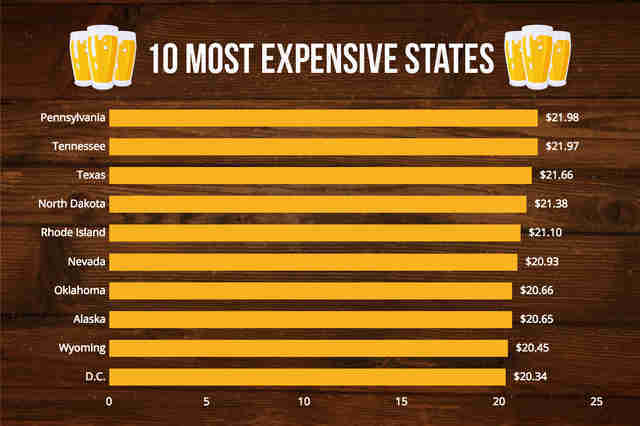 They're similarly expensive in Tennessee, Texas, North Dakota, and Rhode Island. The more you know, right?